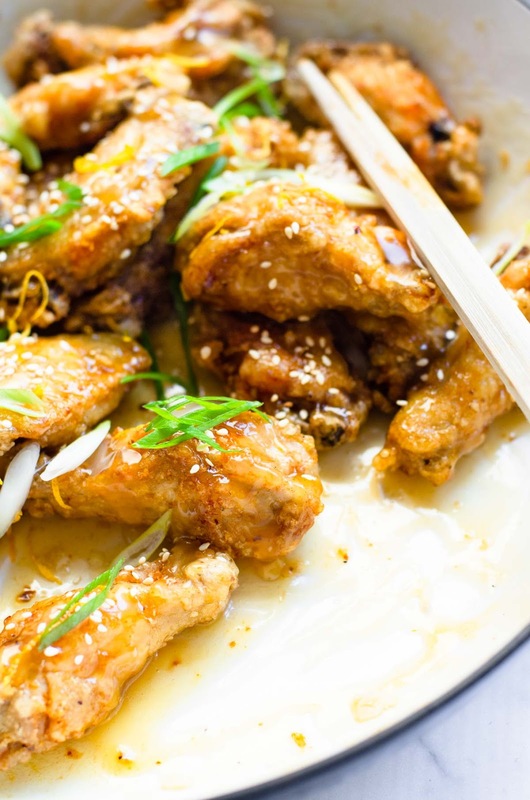 These Sticky Lemon Chicken Wings are delicious and addictive. 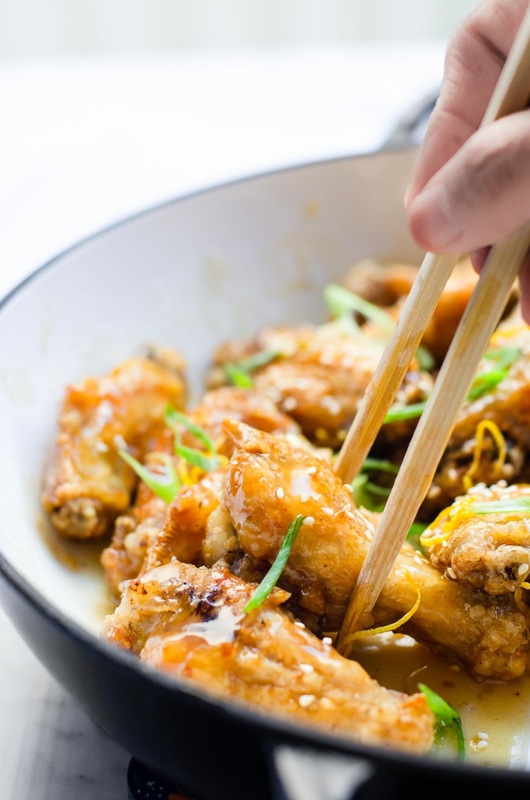 What makes these Sticky Lemon Chicken Wings delicious? There is only one answer -> because these chicken wings are TWICE fried. YES!!! you read it right!!! ...and they are absolute lips smacking delicious. I guess, deep frying chicken or fish once in every 2 months, is ok, not as bad. 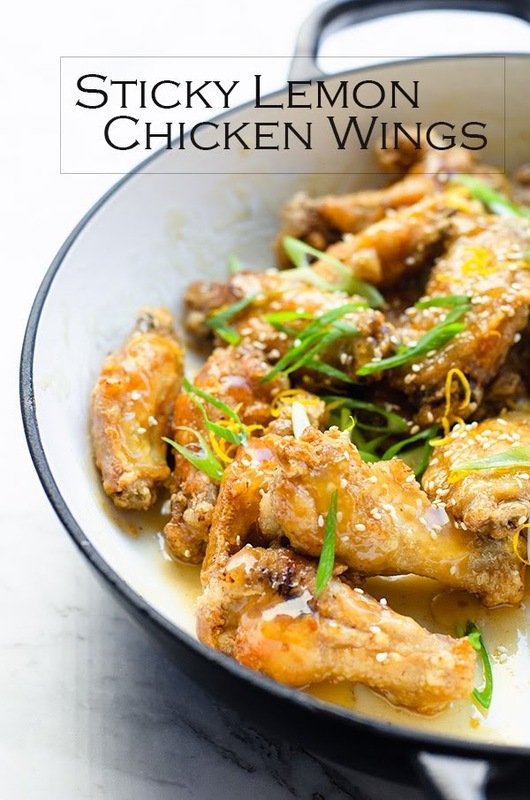 Just look at those gorgeous rich golden brown chicken wings. Honestly, I thought that frying once was bad... let alone to fry chicken wings twice. Chicken wings aren't the meatiest part of the chicken, hence, I was a bit worried that they might turned out 'dry'. However, it was not the case, the chicken wings came out juicy, crispy and succulent, just like my earlier post on Korean Fried Chicken. I used chicken drumsticks then. 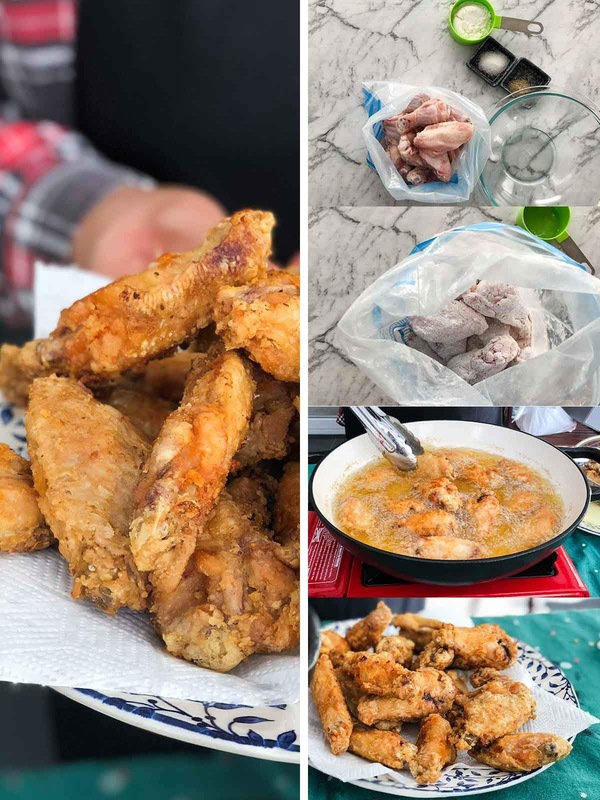 Since I was blessed with abundance of lemons this year, I must make these gorgeous delicious Sticky Lemon Chicken Wings, along with some desserts using lemons. I did a similar post on lemon chicken, back in my early days of blogging, but I used chicken breast, cut into strips. Why didn't I use chicken breast this time? Chicken breast is the most tender part of the chicken, if I were to overcook the chicken breast, the meat will tend to be dry and rubbery. It will be like eating sand paper with lemon sauce... ewww!!! 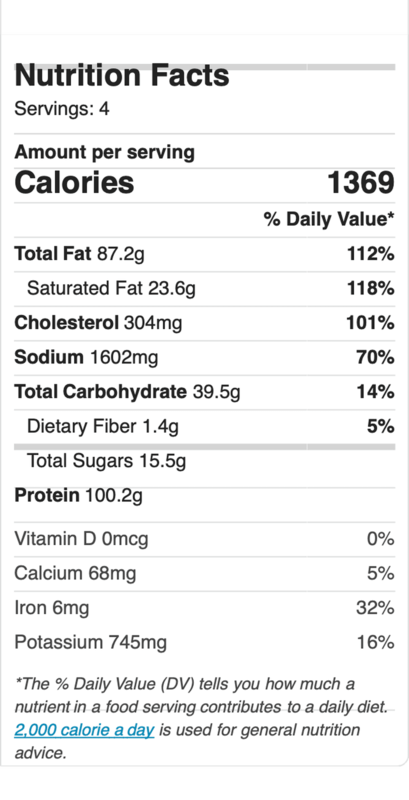 Chicken breast is obviously the healthier meat and part of the chicken. Chicken breast is only suitable for quick cooking, like poaching or steaming or few minutes in the oven. I pan fried this chicken breast to complete and add some protein to my Creamy Fettuccine Alfredo. I made a quick video on "How to make Sticky Lemon Chicken Wings" below. 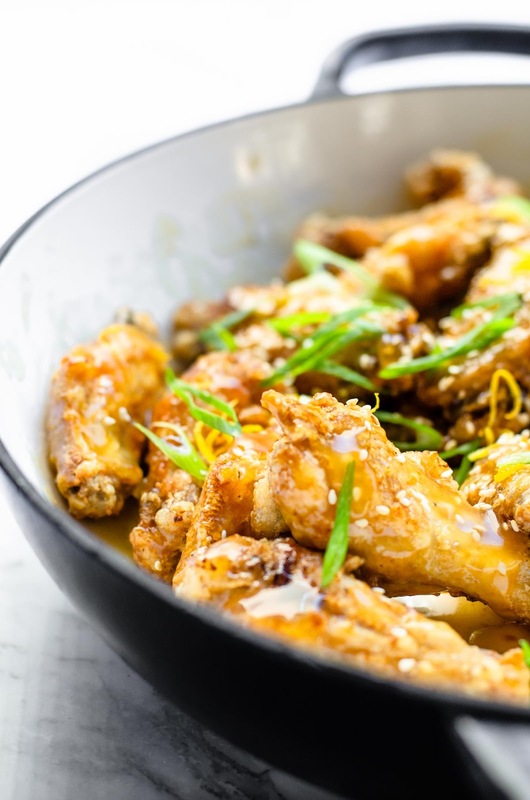 So enjoy the video, enjoy making these twice fried Sticky Lemon Chicken Wings. 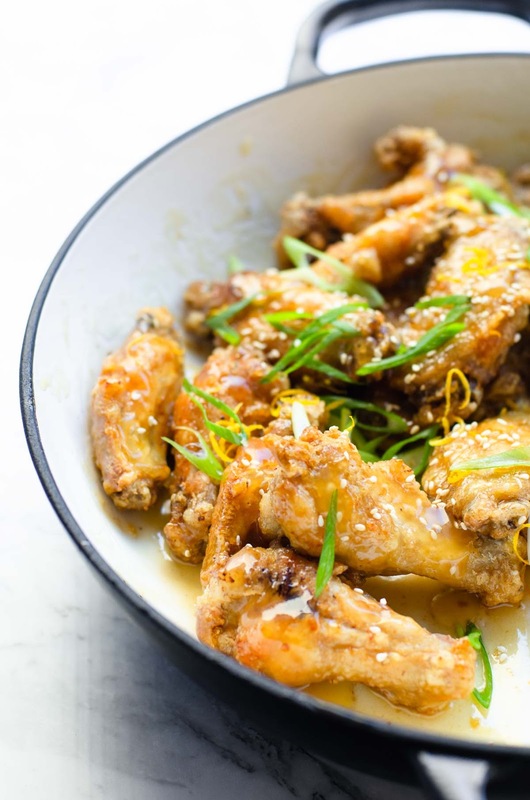 Make and share these twice fried chicken wings coated with sticky lemon sauce. Absolutely delicious. Serve as finger food at parties or watching footies, Super bowl or just to satisfy those fried chicken cravings. Transfer to a plate. Fry the remaining chicken wings. Once all the raw chicken wings are done. 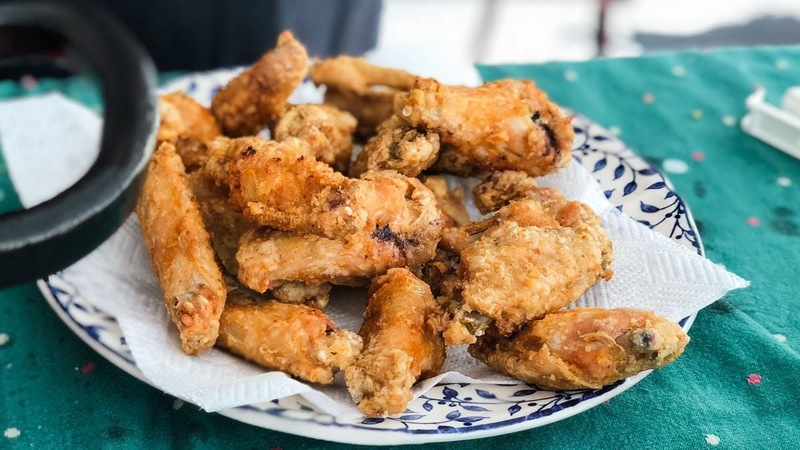 Repeat the process of deep frying the chicken wings for the second time. Fry until golden in colour. 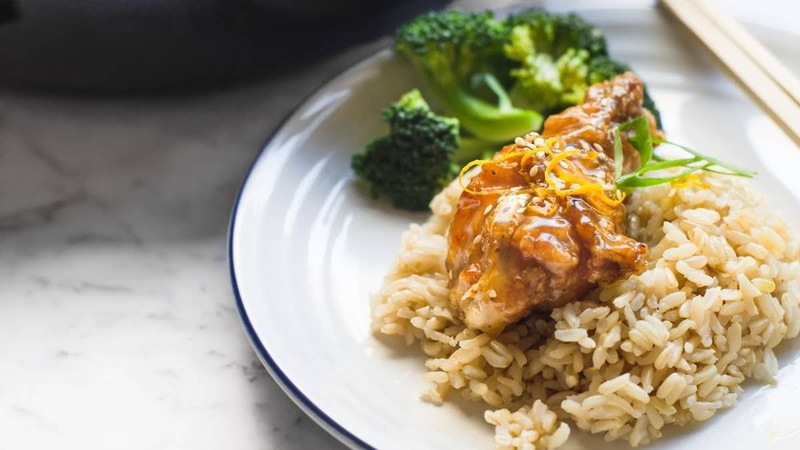 Dish out from wok and set aside to prepare for sticky lemon sauce. Mix water and corn flour and add to the sauce. 1) I started with 1 teaspoon of salt and build the taste from there.